SPI Cinemas, more popularly called Sathyam Cinemas, is the largest multiplex chain in Tamil Nadu and a leading player in the entertainment industry. They serve about a million customers a day. The group currently operates about 35 screens, and is poised to increase this to 50 screens this year. For this, they’re looking at expansion to other regions like Mumbai, Thiruvananthapuram, and Andhra Pradesh to name a few. It’s obviously a challenge to manage an already large customer base and to grow it further. On top of that, the Tamil Nadu govt. restricts cinemas from charging more than Rs. 120 for the tickets. SPI has been actively improving their customers’ cinema experience by ramping up their cinemas’ interiors, providing chef curated gourmet meals, among other things. While these are definitely steps in the right direction, the bigger challenge is to first bring customers to their cineplexes. For this, a superior ticketing system was the need of the hour, which would further augment the customer experience. Keeping the objective and challenges in mind, SPI Cinemas partnered with ThoughtWorks to build a responsive, scalable digital ticketing system that focuses on enhancing the movie-going experience instead of simply offering a transactional engagement system for customers. ThoughtWorks first mapped the millennials’ movie-going habits to build a picture of their digital needs. These were then layered against SPI Cinemas’ existing IT infrastructure while doing all the heavy lifting and bringing in new ideas all the time. 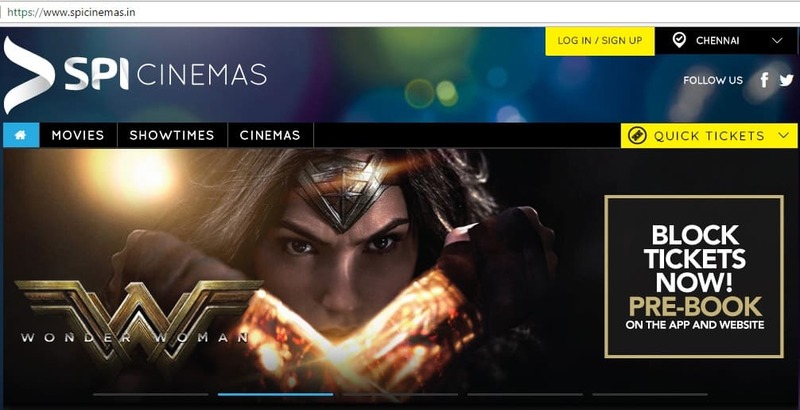 As a result, SPI Cinemas were able to launch their branded website and mobile apps in just ten weeks. This was made possible due to the use of lean principles and open source tools. They’re doing all this with a rich data management system that allows them to leverage data like never before! Selling 1400 Tickets per Sec is One of the Many Benefits! The business benefits have been extremely encouraging for SPI. They achieved a 30% increase in daily traffic, which comes to about 1 million page views per day across channels. 50,000+ people downloaded and installed their iOS app in just 2 months after its release. As a result, SPI Cinemas were able to build up a user base of 2 million users and are now selling 1400 tickets per second! And the icing on the cake is that they’ve reduced their falling booking count from 10% to just 1%.